The principle of the ball ligthning creation is a complexe phenomenon and not yet really explained in physics. A lot of models try to explain this phenomenon : when a lightning strikes the ground or a tree, some small particles are vaporized. These particles are rich in carbon ( coming from the tree and/or the ground ). A lightning is a very short electromagnetic pulse generated by a very strong current ( million of amperes ) and its energy is enormous. Microwaves are produced and immediately absorbed by this cloud of thin conductive particles ( made with dusts of carbon ), a plasmoid is created and this produces a ball lightning. 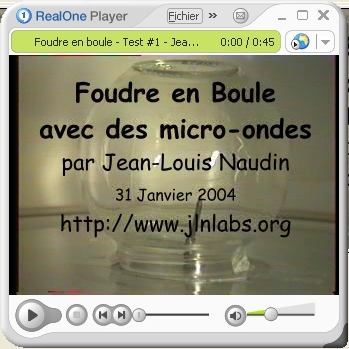 This fireball is self-confined by 'Spherical Pinch Effect' and completly autonomous. 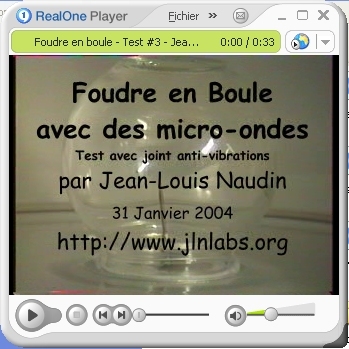 This experiment uses a kind of electronic trigger which is the GMR v1.0 ( Graphite Microwave Resonator ) placed in a microwave oven working at 2.45 GHz. A magnetron is compact, has a light weight ( compared to a HV transformer with the same output power ) and it is a high power device. It is able to produce a great amount of power in a small volume most particularly in a plasmoid. 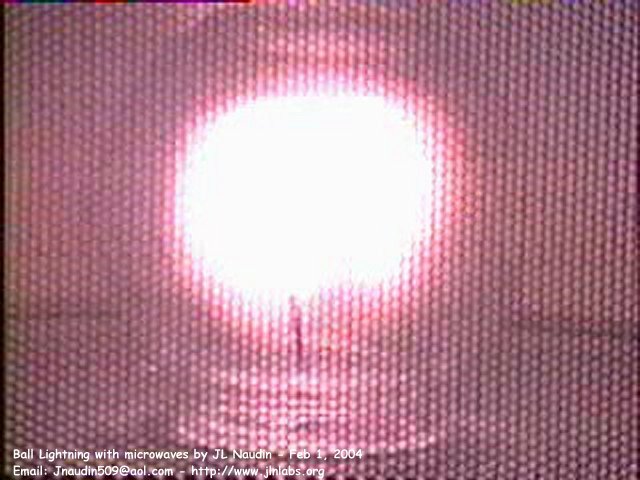 A successful experiment has already been conducted on February 27th, 2002 with a quarter wave antenna made with aluminium. The previous design has been improved and the aluminum antenna has now been replaced by a graphite antenna, this new resonator is now called the GMR ( Graphite Microwave Resonator ). The cloud of carbon emitted by the antenna absorbs the major part the microwave energy. So the GMR is able to produce a very high density plasma in a small volume. 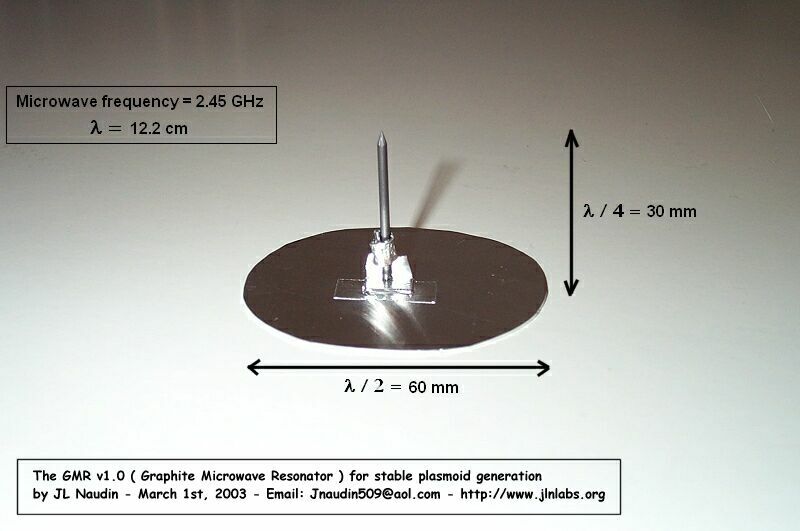 The GMR v 1.0 is a microwave resonator composed with a small quater wave antenna mounted on an artificial ground surface. The frequency of the magnetron is 2.45 GHz, its wave length is l = 12.2 cm, this gives the height of the 1/4 wave microwave antenna : l/4 = 3 cm and the ground base diameter : l/2 = 6 cm. You will notice, if you conduct yourself this experiment, that the plasmoid remains very stable as long as the microwave oven is running. 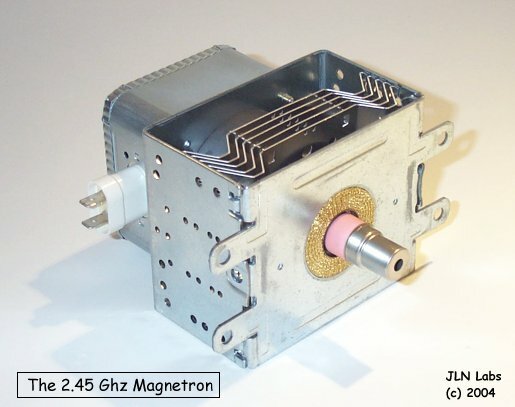 Full detailled picture of the 2.45 GHz magnetron. The antenna is the small cylinder on the right side. Design of the Graphite Microwave Resonator ( GMR ), for more details about the GMR construction, click here. 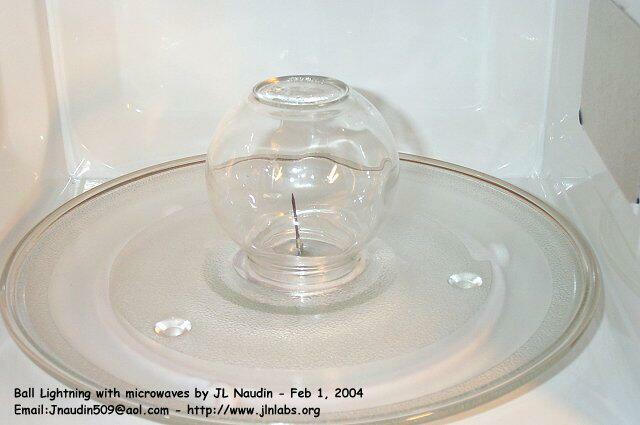 The GMR apparatus is placed on the plate of the microwave oven. The rotation of the plate must be disabled. The GMR antenna must be a bit inclined, this contributes to start the self-rotation of the plasmoïd. Warning : Don't forget that the Plasmoid generates ozone (O3) and nitrogen oxydes ( NO and NO2), so you need to do this experiment in an open and well ventiled area. If you do it the risk of any results is just yours. I take no responsibility of anything that might happen. 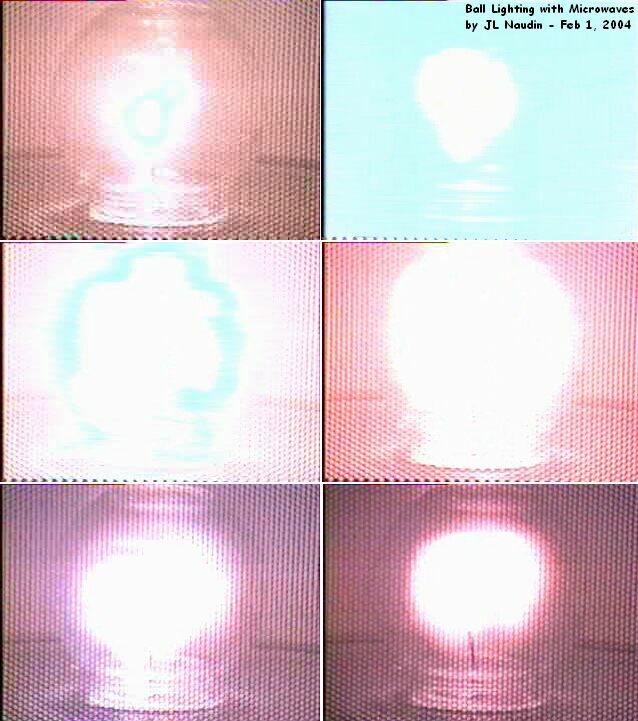 On the pictures above : the ignition sequence of the plasmoid. and thus the hot plasma is not in contact with the glass vessel. 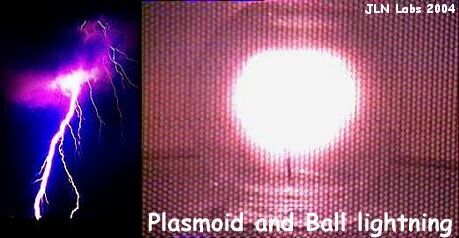 If the plasmoid is produced on a flat surface, the plasma is in contact with the glass vessel which becomes hot quickly. The GMR antenna must be tuned to the magnetron frequency, so its size ( 30 mm high and a 30 mm radius of the base ) must be finely adjusted. This experiment must be conducted in a very well ventiled area. Steady-State D-3He Proton Production in an IEC Fusion Device - R.P. Ashley, et. als.